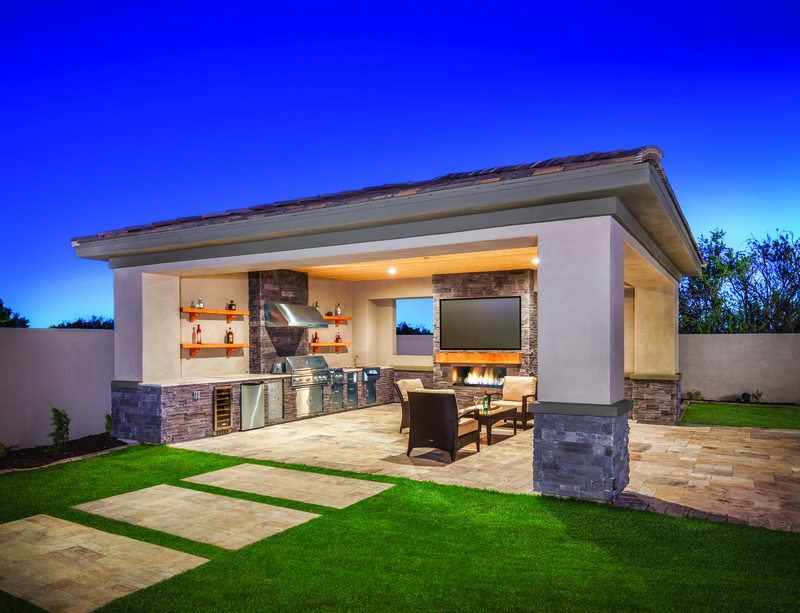 The popularity of outdoor kitchens has spread far beyond warm regions (Photo: Toll Brothers). 3/ Flexibility. Formal living rooms and dining rooms have given way to spaces that can convert into a home office, a second bedroom, or whatever other purpose suits that moment in a family’s life. “Build flexibility into your homes so buyers can use the space however it fits their needs,” says Todd Cunningham, principal and president of Mission Viejo, Calif.-based Woodbridge Pacific Group (WPG). 4/ The elimination of formal rooms is making space for the increasing growth of multigenerational living. WPG, for example, offers several of its plans with options to accommodate aging parents or other shifts in the family dynamic. 5/ According to Melman, in many markets the two-story foyer and great room are falling out of favor; 9- and 10-foot ceilings help preserve some of that spacious, open feel. 6/ First-floor master suite. As home­owners age, they want to stay put, notes Lee Calisti, owner of Lee Calisti Archi­tecture+Design, in Greensburg, Pa., who finds himself adding first-floor bedrooms to some of the remodeling projects he designs—even those with tighter footprints (Photo: Pulte Group). 9/ As kitchens continue to be the social center of the home, large kitchen islands serve a multitude of roles, from prep station to homework spot to eating area (Photo: Castlerock Builders). 10/ Breakfast room. 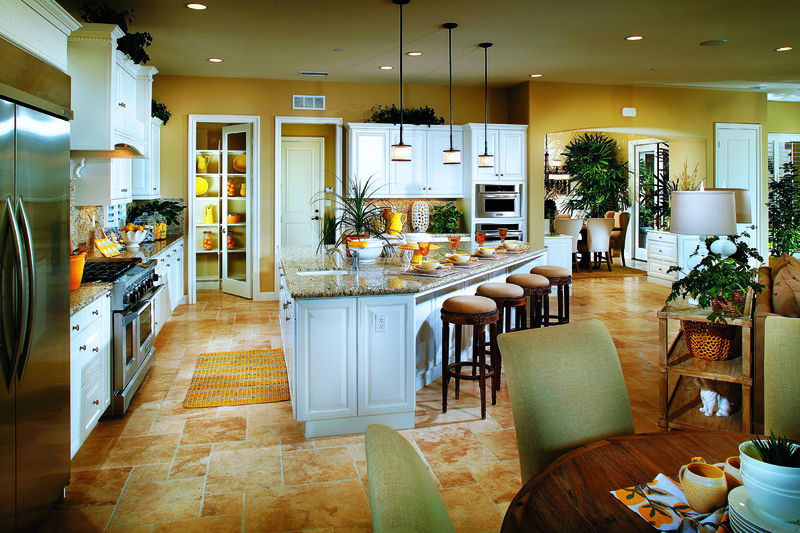 A large breakfast room for casual dining is replacing the formal dining room, notes Tim Gehman, director of design for Horsham, Pa.-based Toll Brothers. 11/ Open shelving further contributes to the open feel of the kitchen while also offering easy access to often-used items (Photo: Pulte Group). 12/ Smarter storage. At the same time, open floor plans and shelving contribute to clutter. “We’ve evolved from the kitchen being tucked away to a multi-chef, multitasking space that’s the hub of family life,” says Christina Hoffmann, content manager for the National Association of Realtors’ HouseLogic.com. “You end up with a lot of stuff. So it’s really important to have the right amount of out-of-sight-storage.” Hoffmann says that, ideally, there is a primary storage zone for essential cooking items, along with flexible spaces that homeowners can adapt to their needs, such as for wine storage or a workstation. 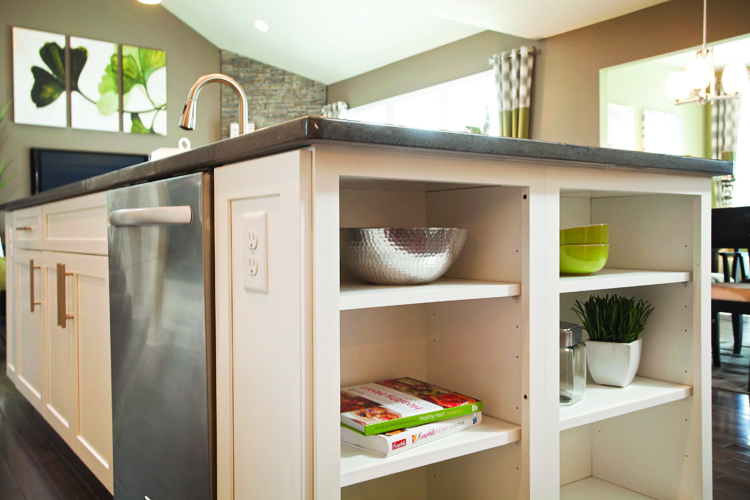 13/ Smart storage includes a dedicated pantry. “No longer are kitchens crammed full of cabinets,” Stapperfenne points out. “I see kitchens headed toward bigger closeted pantries where the majority of the storage is located.” (Photo: A. Gomez). 14/ Quartz countertops offer an alternative to granite that is fresh, modern, and available in plenty of color options. 15/ The professional look of stainless steel appliances endures as a kitchen must-have. Manufacturers have introduced possible higher-end replacements, but until one catches on, plan for stainless throughout. 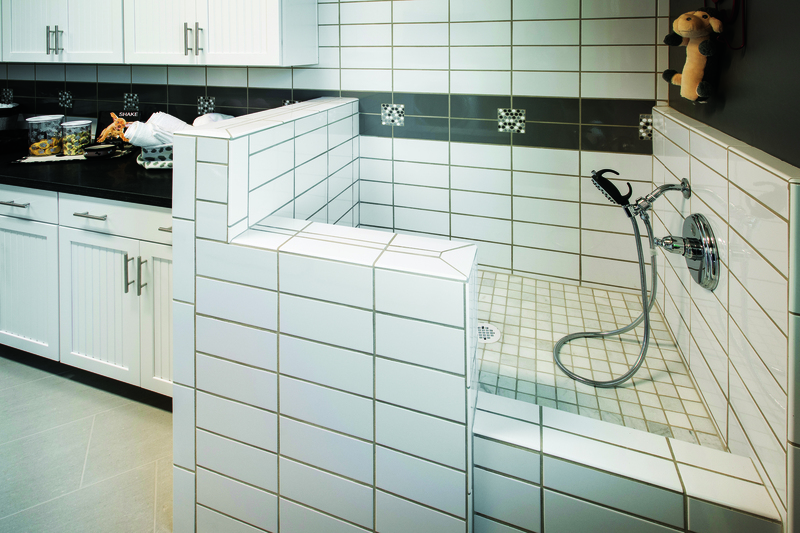 16/ As whirlpool tubs have fallen out of favor, roomy custom showers are taking their place. 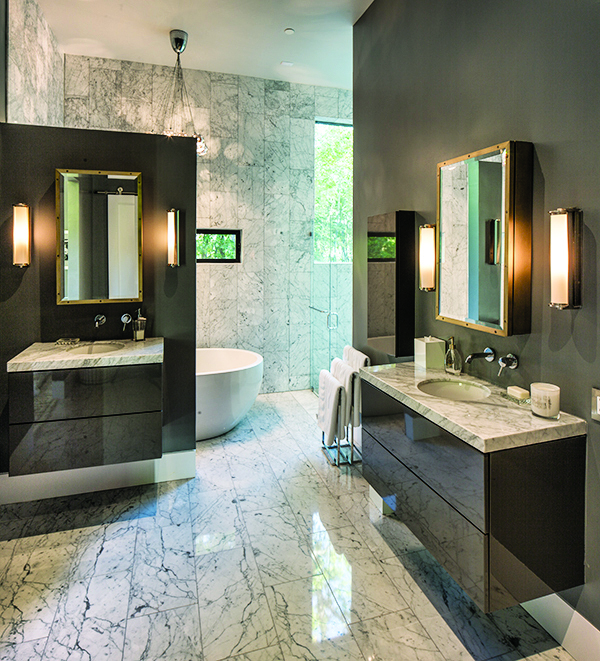 Make sure that there are plenty of recesses for soap and shampoo, notes Lance Wright, founding partner of CastleRock Communities, in Houston, who also sees a move away from shower doors toward open, walk-in entries. 17/ In larger master baths where tubs are still desirable, Wright says that freestanding soaking tubs are gaining interest as a high-end look to replace built-in jetted options. 18/ Water-conserving fixtures. The California drought has drawn more attention to water-saving options. Today’s WaterSense-certified models reduce consumption without sacrificing performance. 19/ Humidity-controlled exhaust fans. “It’s a detail that people are actually looking for and is so beneficial to the care of your home,” Hoffmann says. Bath fans are an essential tool for controlling moisture in the home, and new humidity- and motion-sensing technologies ensure that they’re put to use even when homeowners are forgetful. Built-in nightlights and multiple speeds are nice-to-have extras. 20/ Universal design. “[Buyers are] realizing that they’re not just purchasing for today, but for 20- to 30-plus years down the line,” Stapperfenne says. 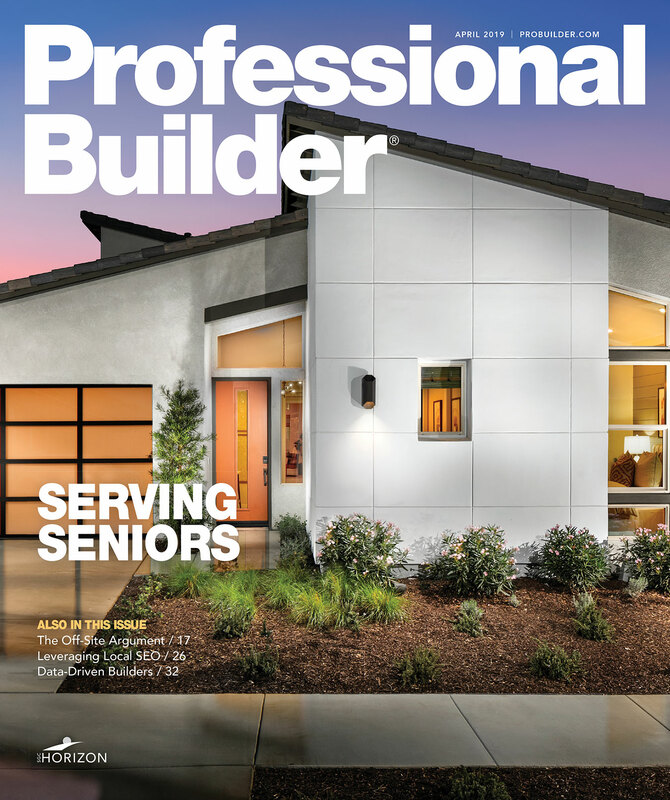 “They’re much more savvy in that regard.” The beauty is that many products and design elements that increase safety no longer have to look institutional, from grab bars that double as towel bars to low/no-threshold showers to comfort-height toilets and more. These same features make the home safer and more comfortable for all users, not just those who are aging in place. 21/ Floating vanities or open, freestanding bath furniture lend a modern look, can make small spaces look larger, and open up the room (Photo: Castlerock Builders). 22/ Hands-free electronic faucets offer a convenient, cleaner way to wash up. And thanks to advancing technology, they’re becoming more acceptable to consumers. 23/ Drop zones with charging stations. A place to put the mail and a handbag is no longer enough; ensure there is ample room for the entire family to charge phones and other electronics (Photo: KTGY Architecture + Planning). 24/ Wireless compatibility through­out the house. The advent of wireless allows residents—from kids doing homework to work-at-home adults—to work from anywhere. 25/ Lots of outlets. Wireless technology also means that charging areas don’t stop at the drop zone. Ensure that homeowners can plug in at the kitchen island, at the living room couch, on the patio, and pretty much anywhere else. 26/ Practical energy efficiency, with an attainable and clear ROI, remains top of the list, including low-E windows and well-sealed building envelopes. Buyers have some minimum expectations now, Wright says, including efficient bulbs and Energy Star-rated appliances. 27/ To ensure that homes operate at their most efficient, include programmable thermostats. 28/ As energy prices rise, ceiling fans are an essential component to keeping homeowners cool, Hoffmann says. 29/ LED lighting’s superior efficiency also is catching on with buyers: In the AIA’s Q2 2015 Home Design Trends Survey, LEDs topped the list of most popular products. 30/ Among the growing uses of the über-efficient lighting is LED tape for toekicks and undercabinet applications, says the Research and Development Team at Atlanta-based PulteGroup. 31/ App-driven technology. Buyers want home control that’s practical and understandable. Today that translates into operating lights, HVAC, security, and other functions via their smartphones. 32/ Time-tested looks. Hoffmann notes that white cabinetry and hardwood flooring are looks that stand the test of time. Subway tile, especially when done in neutrals, is another classic, she says. 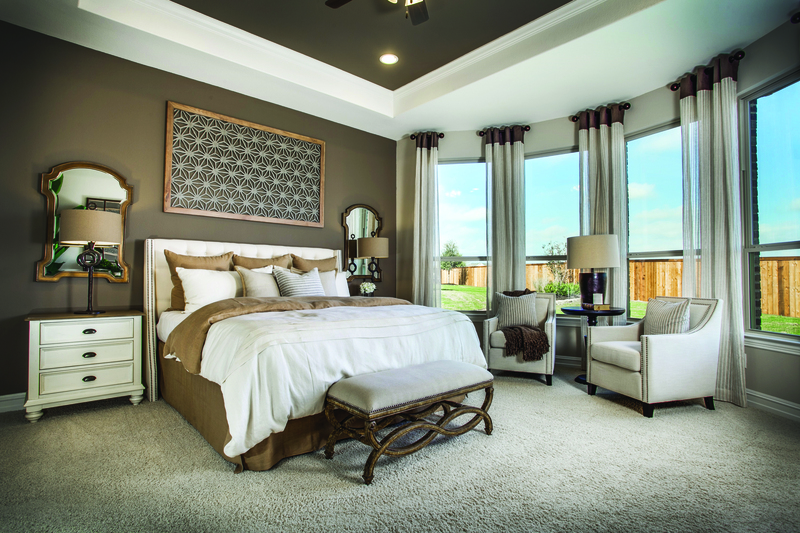 33/ Molding and trim aren’t an over-the-top cost, yet “give any room a finished, expensive look,” Hoffmann says. 34/ First- or second-floor laundry. Getting the laundry room out of the basement and onto the main level has become the standard. In several instances, a secondary laundry adjacent to bedroom areas is also being requested. Stapperfenne finds laundry rooms becoming more whimsical, such as with a brightly colored countertop or fun hardware, so as to make the task less arduous. 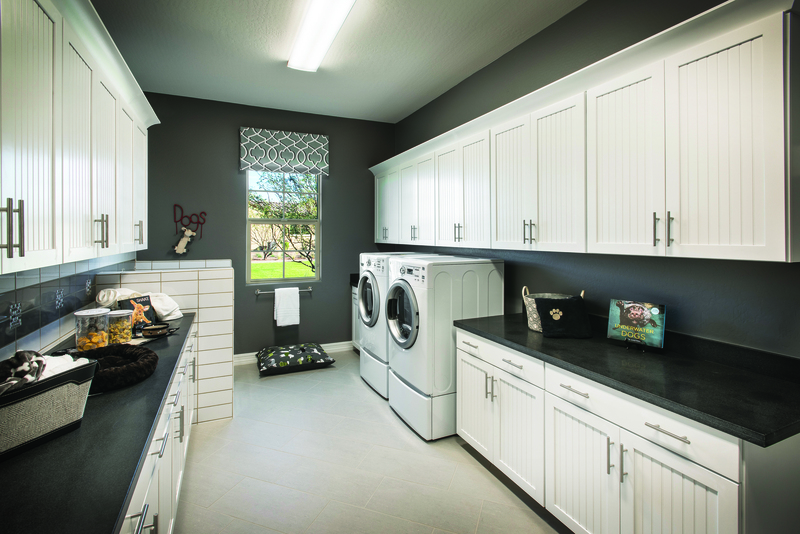 In some cases, “the laundry room has taken on more utility in different directions,” Lehnert says. 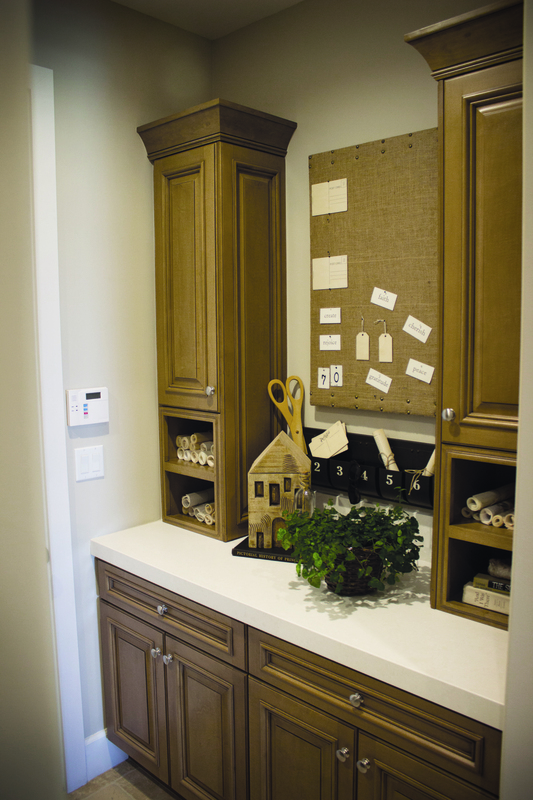 The room’s size and purpose have expanded, from using the space for additional storage to having a dog washing station there or incorporating crafting and work tables (Photo: Mark Boisclair Photography). 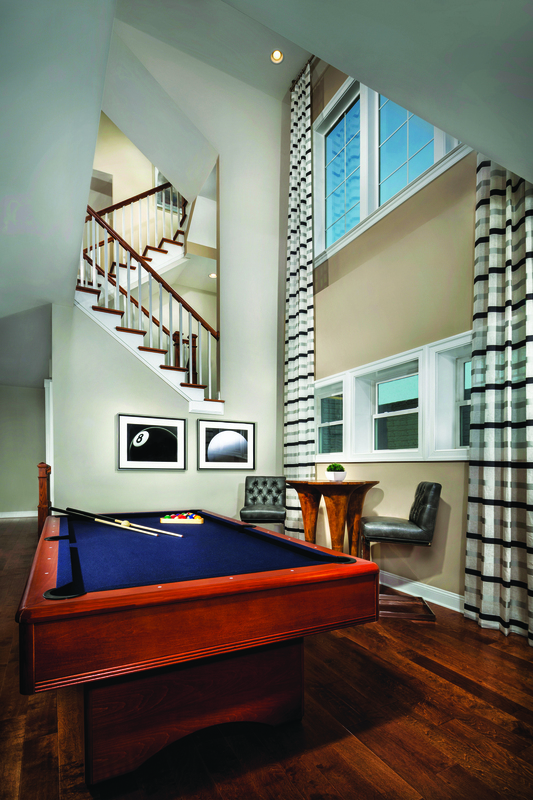 35/ Finished basements with entertaining space, such as for a large-screen TV or billiards—or even a wet bar. But these aren’t the dark caves of the ’70s and ’80s. Lehnert sees the spaces being opened up to floors above, including grander, open staircases similar to those on the home’s main level. How and why basements get used varies from buyer to buyer; it’s another place for the “idea” and “unprogrammed” spaces that Lehnert describes, so the more potential directions they can go and the more utility they have, the better (Photo: KTGY Architecture + Planning). 36/ Statement lighting. Bold, oversize lighting choices add drama to a completed space, PulteGroup says. 37/ Pet accommodations are growing in popularity as Americans increasingly consider their dogs and cats as part of the family. Built-in bowls, integrated crates and gates, and other Fido-friendly features help make that possible without wasting space, getting in the way, or sacrificing style (Photo: Mark Boisclair Photography). 38/ Comfortable outdoor space continues to top must-have lists across most industry surveys. A dedicated area for sitting, with outdoor furniture that feels like indoor, is key in all areas, while more extravagant features vary by market: In many regions, buyers don’t want to be bothered with TVs or large fireplaces, but in California, Cunningham reports, they’re a must-have luxury. Gehman sees demand for larger covered spaces just off the main living area, along with smaller patios off of other rooms that are loosely linked (Photo: Toll Brothers). 39/ Blurred indoor-outdoor connections. Simultaneously, the line between interior and exterior is becoming increasingly indistinct. Operable glass walls or wide French doors, as well as consistent flooring, contribute to a seamless feel. 40/ As the use of electric cars continues to grow, so does the need for docking stations in residential garages. Car-charging stations were among the most popular tech options gaining ground in the AIA’s Home Design Trends Survey. 41/ Deck out two- to three-car garages with integrated cabinets to maximize storage space. 42/ Low maintenance. Time constraints have homeowners clamoring for exterior products that don’t have to be cleaned or refinished as often. The trend is particularly important among Millennials, Stapperfenne says. 43/ Standout entries. The front door is an easy way to significantly boost perceived value of a home and set it apart; think larger sizes, more light-admitting glass, and even a pop of color. 44/ Front-side entertaining space. Whether it’s a porch or a patio, a gathering area at or near the entry allows for people-watching and community interaction. 45/ Along with security, well-appointed outdoor lighting can truly showcase a home, not only to the neighbors but as a warmer welcome to returning homeowners. 46/ Between maintenance and drought concerns, expect buyers to be more accepting of water-conserving landscaping. 47/ Trees can add thousands of dollars to the perceived value of homes, Hoffmann says, while improving energy efficiency and preventing erosion. 49/ Whether they’re small pocket parks or larger recreational areas, ample green space in communities allows for exercise, camaraderie, and events. 50/ Mobile-friendly websites and resident intranets. Millennials and others are shopping for homes on their phones. “Everyone who doesn’t have their website optimized for mobile is missing out,” advises Stapperfenne, as buyers may quickly scroll on to other home builders’ sites easily browsed on mobile. Also consider a neighborhood intranet site for residents. Once they’ve moved in, it provides a semi-private place to build community and share insights and ideas. Katy Tomasulo is a business-to-business writer based in Seattle.